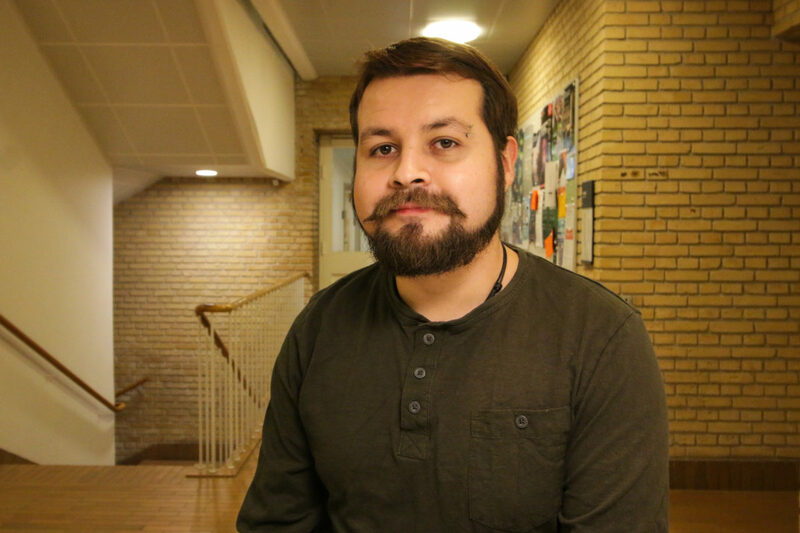 Carlos Mauricio Díaz is a full degree psychologist with a particular interest in media psychology, internet memes and cognitive analysis of video games, movies and their potential in learning. Might sound strange for the first time what a psychologist does at a mostly physics-related research group but looking more into the details it makes perfect sense. Some of our games are also investigating in social sciences and behavioral economics. Skill Lab is a set of mini-games, determining the players’ various gaming skill. This is what Carlos is focusing on now and aiming to take to the next level. Could you tell a bit about your study background and your winding path up until ScienceAtHome? Carlos: “I am full degree psychologist from the University of Antioquia, in Colombia. Then, I completed a master's degree in Cognition and Communication at the University of Copenhagen. Finally, my PhD in Learning Sciences is from the Ludwig-Maximilians University of Munich (Germany). I have always been interested in media psychology and focused on that during my master education. In my PhD, I studied how people learn through commercial multiplayer online games like League of Legends. With all these background knowledge from my education, I got really interested and excited about citizen science games. At SAH, I am a postdoctoral researcher, interested in how video games can help us to understand more human cognition. So, what is your goal at ScienceAtHome as a researcher? C: “Understanding human cognition and making the world better place! We are in a society which is changing very quickly. Especially because of the media. ScienceAtHome has a focus on that. Psychology is a slowly developing discipline, many theories are borrowed from other sciences and I think it is time for psychology to catch up with the times, as it’s pretty much like the 19th century at the moment. Understanding human cognition is important not only because of the quickly changing society but because of the way it is changing. A great part of it is the globalization and the quickly emerging media (Facebook, games, etc). It would give us a better understanding of society. The decision making is very important because we are part of a society where the decisions are not straightforward and depend on many different factors. For example at elections: why someone votes on one politician and not for another? There are many factors influencing the decisions—there actually people voting for the visually more appealing person, not on the more appealing political program. Others might vote based on a particular program point but ignore less appealing policies towards other issues. We need to understand more about which factors are shaping the society. On the other hand, there is problem-solving. Even though all the technical improvements, computers and the insane amount of available information, we are not becoming more efficient. The amount of information is the key here. It is overloaded with fake news. We don’t pay attention anymore. There are pieces of research proving that many people read only the titles of articles and make conclusions based on that. It can be very misleading on the internet where websites are competing for likes and clicks by using catchy titles for the effect. What is the difference between games and gamification? C: "The purpose of games is to make fun and entertain. If you see them as art, they also have the goal of making people reflecting on something and connect with the player on a deeper level. However, the main point is fun, the creation of flow and involving the player in the game, in a different world. All these feelings and experiences are given by design, which is a very powerful tool. I’ve always been interested in design. Gamification is a series of behavioral techniques. Take a boring task and add some fun element to it, for example, competition or positive rewards. 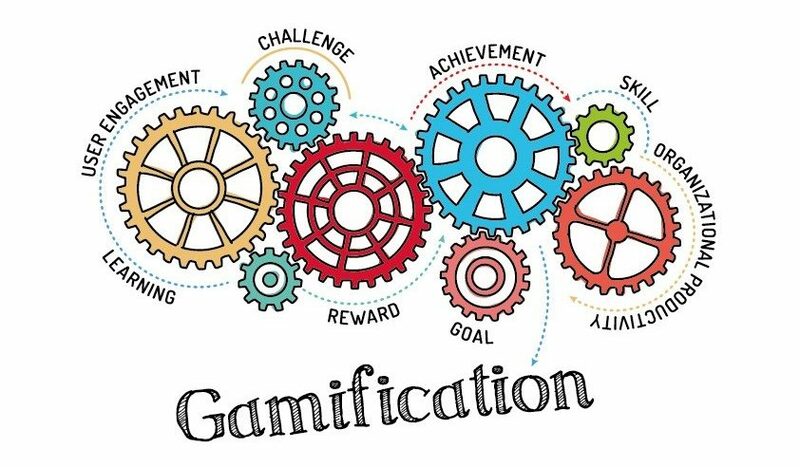 Gamification is the application of these game-like elements to a working task. Simply put, gamification is the application of game mechanics to a non-game activity. For example, traveling by plane is not a game, but if the airline introduces a frequent traveler membership system with point collecting and offer different rewards after a certain amount of points, it makes the experience more fun. It is a very well-known tool in clinical psychology, called the token economy. There are small rewards first and then bigger rewards, such as a free flight. As an intermediate goal, they offer a more advanced level of memberships, such as a silver card which is a symbol of status and achievement. Companies might attract customers from competitors who don’t provide the same benefits. Games can have this kind of tools as well but a game is still fun without it. Gamification is when you make a repetitive task more fun by applying certain principles of rewards or ‘juiciness’. However, this system will eventually wear off. Personally, I see it as a series of techniques. Requiring certain tasks for achievements that the player might or might not complete. It increases the motivation of certain people and doesn’t matter for others. I’m not against gamification. Indeed I think it is a very powerful tool; I just approach it in a critical way because everything can be gamified but I don’t think gamifying everything is the solution." How can you use games to achieve your research goals? C: "The epic goal is to create games which as an end result allows us to create a cognitive profile for the people. I’m not only designing games for data collection and scientific purposes but for the people! I want to give them fun and also some more: a profile that they could share with their friends or just for personal development: finding out what kind of problem-solving they are good at. Give them information about their strengths and weaknesses and let them decide which one they would like to enhance more. Giving advice what other types of games might match the player’s interest. Understanding people’s potential can also help forming teams and placing people in a position where they can achieve their personal best performance." Finally, at ScienceAtHome, you are the unique representative of your field, psychology. How is your experience working with the team? C: "I like working in an international group, with people of different study background. Being the only psychologist is difficult in a sense that the whole cognitive psychology part of the project is relying on my shoulders. The most similar person in the group is Louise Kindt, who works with didactics but she also has a PhD. in Physics so there is also a big gap there. I get along very well with designers because I’m really interested in that field. Another colleague, Oana Vuculescu is working with behavioral economics which is somewhat related to psychology but not from the area that I come from. I’m not very familiar with the theories she is using. I love the interdisciplinary work here. We naturally tend to divide sciences into groups, but I believe this is a time when the different fields cannot be strictly divided. We need interdisciplinary collaboration. What psychologists are discovering, it’s something that engineers can use in the development of artificial intelligence and vice versa. The development of artificial intelligence can help us to understand human society better. Everything is connected. Academia is more about the specialized fields but this is something different at ScienceAtHome. It’s a joint effort from social sciences, didactics, designers, developers and both theoretical and experimental physicists. I love talking with everyone and learn from them. Sometimes I might not understand everything well because it’s so far from my specialization but hearing new things inspires fresh ideas. I love the international environment as well. The intercultural exchange really enriches life! Talking with people from other countries is like changing glasses and see the world through their lenses for a short while. It helps me questioning my traditional beliefs that I didn’t know I’ve had! I haven’t been everywhere in the world but I can meet the world here locally and get to know how other nations see life." Stay tuned to see the result of Carlos' work with us!